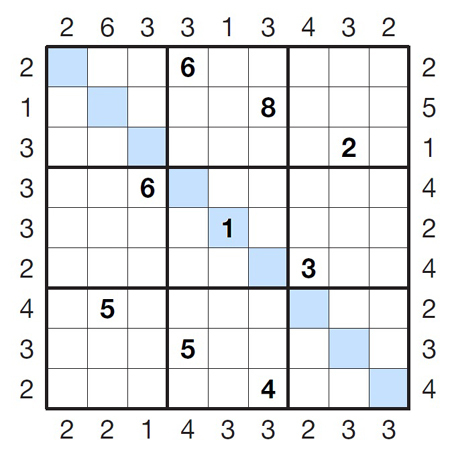 Place numbers in the grid so that each row, column and 3x3 box contains the numbers 1 to 9. Each number represents the height of the skyscraper in each cell. E-mails 17 and 18 get a free game of bowling at Roll House. WiE Talks: "Women in Business Life"
Looking for a Friendly Interviewer to Do "Faces on Campus"